Everyone knows that alchemy is the art of turning base metals into gold. It was also seen as a pursuit of divine knowledge and immortality. From its very beginning in the ancient world, alchemy was seen either as a glorious search for truth or as a means for charlatans to hoodwink money out of gullible patrons. Such dabblers in the art were known unkindly as 'puffers' - from the bellows often used in alchemy in the heating of substances - and were despised by the more serious students of alchemy. In my forthcoming A Knight's Enchantment the heroine, Joanna, is an alchemist. 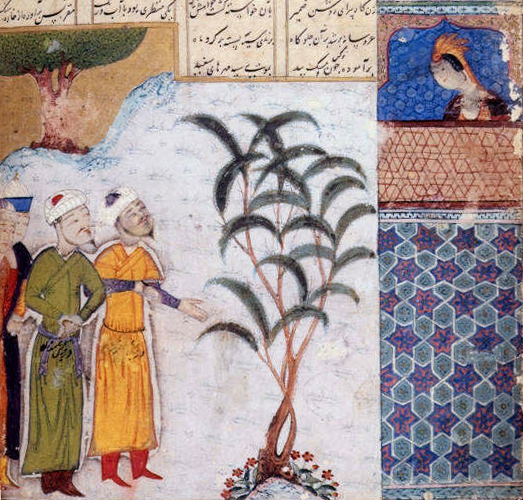 From earliest times, when the strange ‘science’ of alchemy developed, women became alchemists. They were as respected as men in this profession and several were particularly revered. Many powerful and influential women studied alchemy, including the countess of Pembroke Mary Sidney, Queen Christina of Sweden and even Marie Curie. Why were women drawn to alchemy? Famous and successful alchemists tended to be long-lived - usually far longer than the average life-span. That and the prospect of riches may have drawn some, though alchemical thinking also attracted the religious and mystical such as Hildegard of Bingen. In part, too, women may have been intrigued by alchemy because they were accepted and respected in it. 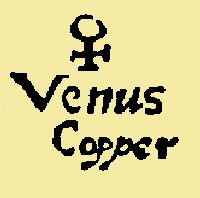 The feminine principle was acknowledged in alchemy - many saw nature itself as female and today doctors still used the alchemical symbol for copper, a soft, malleable metal, for woman. Women were also given credit for their alchemical work and inventions. One of the most famous, called the 'Mother' of alchemy, was Maria the Jewess, who lived in the first or second century AD, possibly in Alexandria. She recognized the importance of changes in color in chemical and alchemical reactions and is credited with inventing a still used for distillation and also the balneum mariae (bain-marie); a water bath that is kept at a constant heat via a kettle or cauldron. A contemporary of Maria was Kleopatra, who likened the growth and progress of alchemical work to a baby growing in a womb. Women could also be married to alchemists and help them in their work. Nicholas Flamel, a famous medieval alchemist who lived for a time in Paris, was assisted in his work by his wife Perenelle and, when their experiments in alchemy brought them wealth, they jointly founded hospitals. When so many professions were closed to women in the past, perhaps it is not surprising that some chose to pursue this most secret and at the same time most fascinating of arts. This is a fascinating post! Alchemy strikes me as part of the river of mysticism and the magical feminine that somehow managed to survive patriarchal religions. Really interesting! Thank you so much - when I looked into it, I rrealized alchemy was very empowering to women. Great post, Lindsay. I never realized women were so much a part of alchemy. But, no wonder, if they were respected as equals. Not to mention the magic and mysticism of it. As I understand alchemy, it went beyond creating gold, the mostly untold story. You're so right about alchemy - the main quest was immortal life. It's an amazing subject and I was really heartened to learn how much women were part of it.